A Japanese pilot has been jailed after being caught more than nine times over the alcohol limit as he prepared to fly a passenger jet from Heathrow airport. Judge Phillip Matthews condemned Katsutoshi Jitsukawa, 42, saying the prospect of him flying the Japan Airlines (JAL) plane was "too appalling to contemplate". Jitsukawa, of no fixed abode, was sentenced to 10 months in prison at Isleworth Crown Court. He said he felt an "abject disgrace". He was arrested on 28 October at the airport after failing a breath test 50 minutes before the Japan Airlines (JAL) flight to Tokyo was due to fly with him in the cockpit. The drink-drive limit in England, Wales and Northern Ireland is 80mg per 100ml of blood. Jitsukawa admitted to one count of performing an aviation function when his ability was impaired through alcohol. Judge Phillip Matthews described the co-pilot, who has since lost his job, as "very intoxicated" ahead of the 28 October flight. "You are an experienced pilot but you had clearly been drinking for a long period up to a time shortly before you were due to go into that plane," the judge said. "Most important is the safety of all persons on board that very long-haul flight, potentially 12 hours or more. Their safety was put at risk by your inebriation and drunkenness. "The prospect of you taking over control of that aircraft is too appalling to contemplate. The potential consequences for those on board was catastrophic." Jitsukawa was caught after security noticed he smelled of alcohol, appeared drunk and had "glazed eyes". An officer later noticed he had "difficulty standing straight". The judge suggested Jitsukawa put colleagues in a position of either performing a "cover up" or reporting him to superiors. Speaking outside court, the company's vice president Yasuhiro Kikuchi denied Jitsukawa's colleagues acted improperly. "As an organisation we are going to work together to prevent this happening again," he said. Prosecutor Douglas Adams said that after he was challenged by security staff on the plane, Jitsukawa said he drank whisky the night before but had already passed a breathalyser test. After Jitsukawa said he needed to get his blazer from the plane, the security manager followed him on to find the pilot in the toilet rinsing and gargling his mouth with mouthwash, the prosecutor said. The plane, a Boeing 777 holding up to 244 passengers, departed for Tokyo after a 69 minute delay. Bill Emlyn Jones, mitigating, said Jitsukawa had become depressed. "It would seem he used alcohol as a means of self-medication," the lawyer said. The pilot feels "abject disgrace" and wishes to apologise to the airline, passengers and his family "for the shame he had brought upon them", he added. 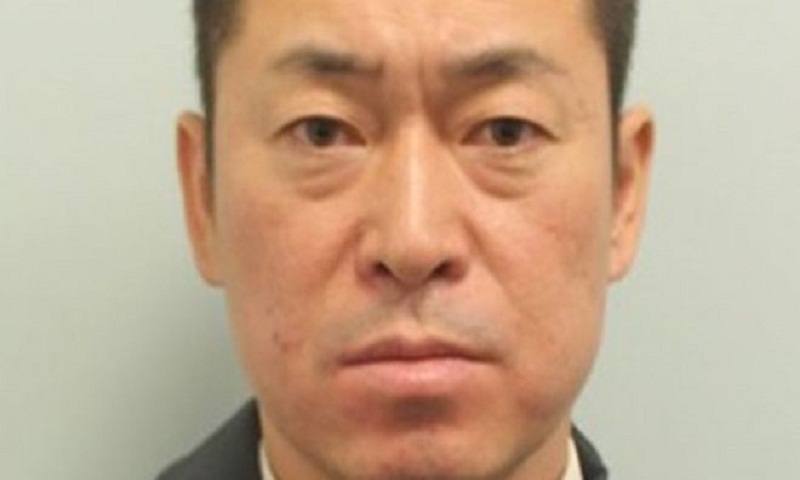 Jitsukawa was clean-shaven and in a grey tracksuit as he appeared on a videolink from Wandsworth prison. Jitsukawa had earlier cheated on an in-house breathalyser test, taking it at a distance from the chief pilots who were supposed to oversee it, the Asahi Shimbun newspaper reported. Earlier this month Japan Airlines said it would introduce a new breathalyser system at airports abroad. Since August 2017, there have been 19 cases where Japan Airlines pilots have failed the company's alcohol tests, the company confirmed.